Can OSHA's Updated Rules Help Prevent Atlanta Workplace Falls? 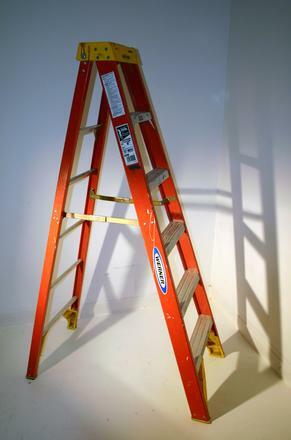 Falls are one of the top causes of workplace injuries and of workplace fatalities. There are already many rules aimed at preventing falls on-the-job, but workers still continue to get hurt. Occupational Safety and Health Administration (OSHA) has now updated its slip and fall rules by putting new requirements into place. Hopefully, this new regulation can help to make a difference in keeping people safe from harm. If a fall does happen at work, the injured victim could be entitled to workers' comp coverage. If the fall is a fatal one, dependents can also get death benefits through workers' comp under Georgia law. An Atlanta workers' compensation lawyer can provide assistance in pursuing a benefits claim and seeking coverage for medical bills and other costs after a work injury. OSHA's new regulations are found within the agency's Walking-Working Surfaces standard. The changes were made to general industry Personal Protective Equipment standards and bring the general industry standards for fall protection in line with the fall protection standards applicable specifically to the construction industry. In particular, the updated rule addresses requirements for the use of personal fall protection systems. These requirements apply to employers, who must make protection systems available and who must ensure workers use these fall protection systems on worksites. The new rule promulgated by OSHA gives employers leeway to determine specifically what kind of personal fall protection system is the best fit for their needs. The rule also permits employers to make use of rope descent systems when employees are 300 feet or higher above a lower level. However, body belts are prohibited from being used as a part of the personal fall arrest system that is part of the required safety gear. OSHA not only changed the rules regarding fall protection equipment, but also added a mandate to the new rule that will require employees to be trained on the use of fall equipment and fall protection systems. The changes will go into effect in the middle of January 2017 for most of the updates to the rule. This is 60 days from the time the requirements were published in the Federal Registrar. Because the new regulation applies only under the general industry standard, workers will only be affected if they are in one of the jobs that is covered under this rule. Warehouse workers, for example, are among those who work in fields subject to the new rule. Agricultural and construction workers, on the other hand, will not experience any changes because this particular work safety rule does not apply to the standards for these industries. These changes could be among the last which are promulgated by OSHA during the Obama era. Companies must comply with the new rules once they go into effect, in order to avoid possible OSHA fines or other adverse action. Employees, however, can pursue a workers' comp benefits claim regardless of compliance. Even if an employer followed fall protection rules, the injured victim could still get benefits provided he was able to show his injuries are work-related injuries incurred in the course of doing work tasks.